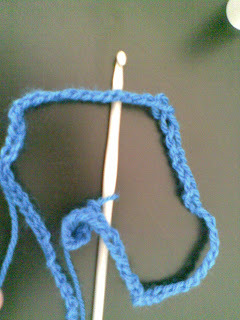 My Hobbies' Place: Learning how to crochet..
After Peli's help, member of ftiaxto.gr community , I decided to start crocheting! 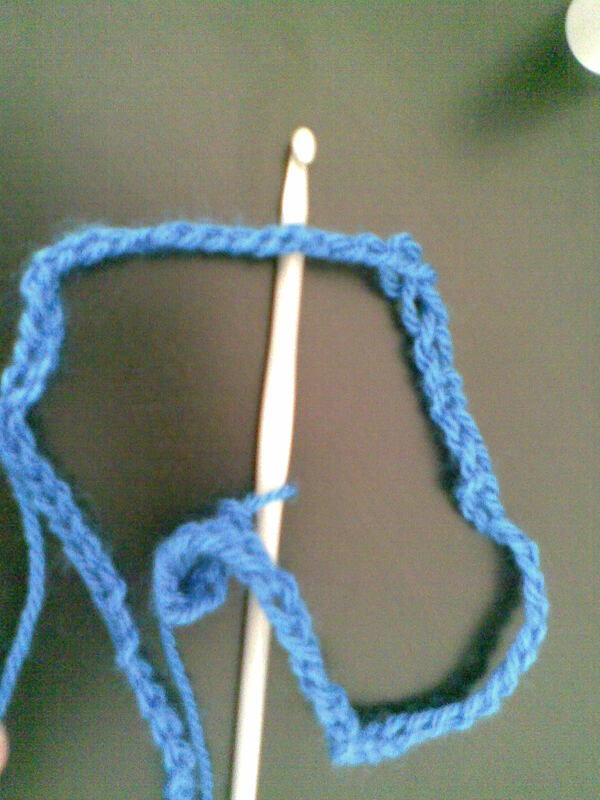 For that, I bought today, my first crocheting hook in size 5mm and a blue yarn, from "ergoxeiro" , a small craft shop near Ermou street, in Athens. After a little effort, here's my first chain! A very helpful video, which introduced me to this interesting new hobby, was Donna's 1st video of her 2 video series " How to Crochet".